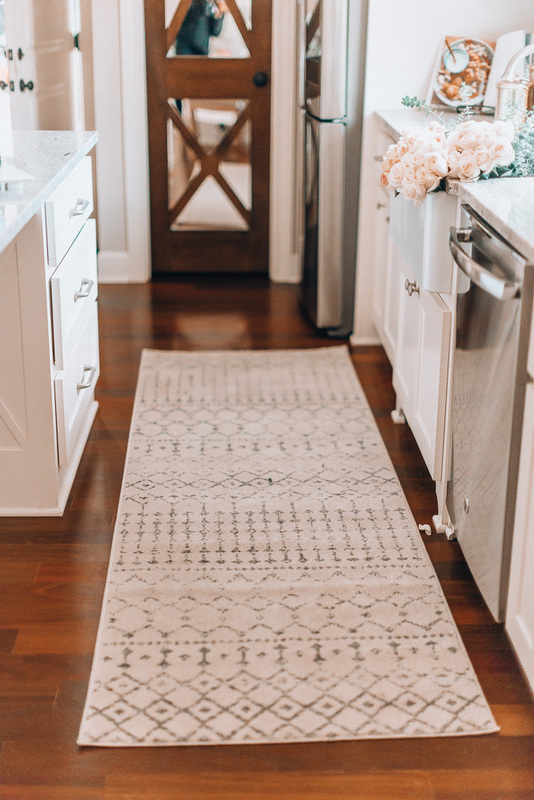 I have been on the hunt for a rug for our kitchen. Because that space is such a high traffic area I knew it would need to be vacuumed regularly and easy to clean, so it had to be low pile. On my search, I found so many great options at The Home Depot. 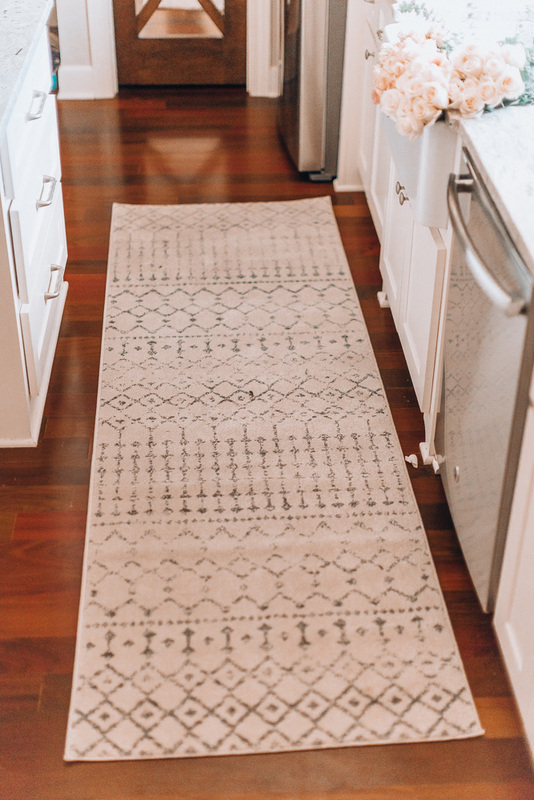 I ended up purchasing a 3ft x 8ft runner rug and it was the perfect fit for the area. I like the longer length to span the whole area between the sink/counter & our island. 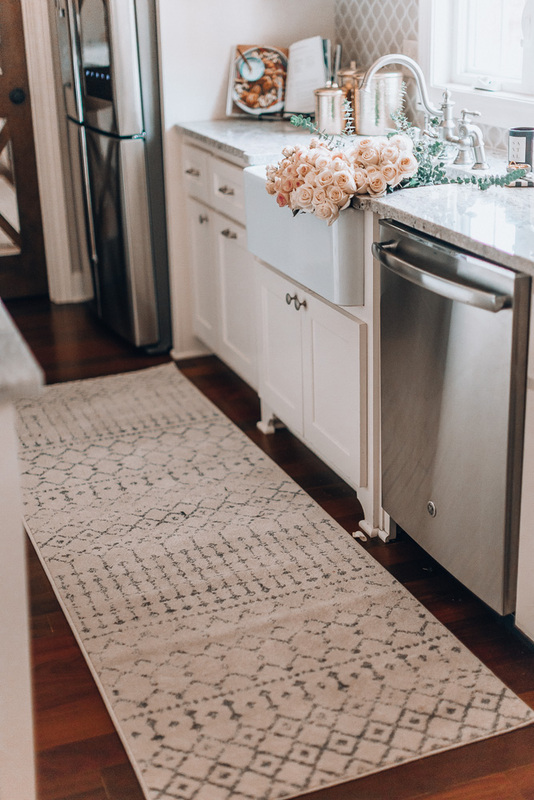 The grey color was the perfect fit in our kitchen and the .3″ pile has proven to be easy to clean. It definitely makes the space feel more cozy & comfortable. While shopping for the rug I also came across so many other items at The Home Depot that I loved! 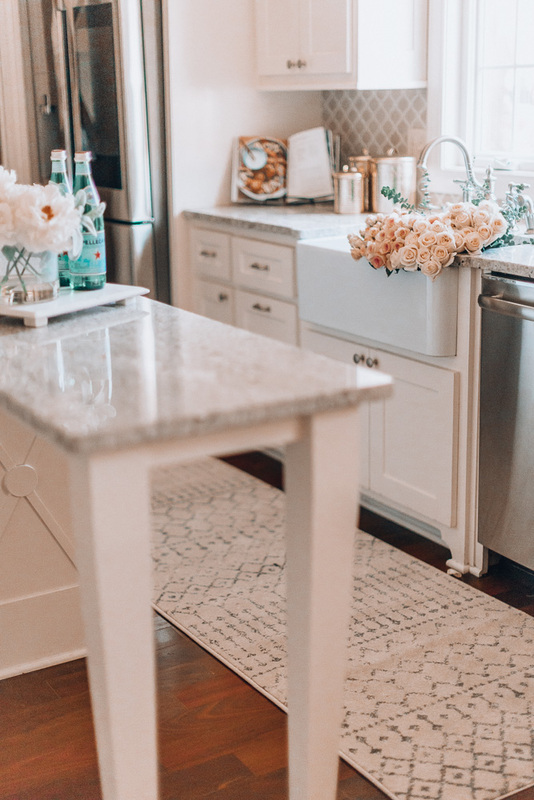 I’m in spring cleaning & organizing mode and still have a few things to do to get our home ready for spring. Time to get rid of the winter pots & wreaths outside and bring in a new fresh look. This pot comes in 3 different sizes and I think would make a great grouping with fresh greens on our front porch or back patio. I also love bringing in that fresh green color inside and found this snake plant & this fiddle leaf tree (both faux). 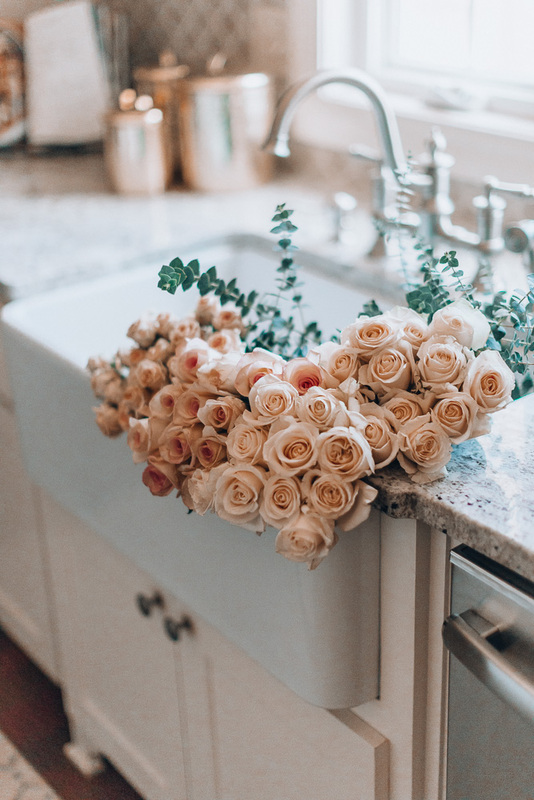 With the first day of Spring on the horizon, it feels so good to be cleaning up & freshening up things inside & outside of our home! A big thanks to The Home Depot for sponsoring this post!